Optimizar imágenes sin pérdida de calidad. 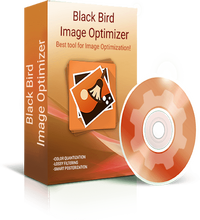 Con Black Bird Image Optimizer, ¡puedes reducir el tamaño de tus fotos sin perder calidad! Utiliza un algoritmo de cuantificación de color completamente nuevo que es capaz de reducir el tamaño de las fotos sin pérdida de calidad. Además, Black Bird Image Optimizer elimina los metadatos innecesarios de las imágenes. -Reinstalación de política: se puede registrar después de que finalice la promoción. Black Bird Cleaner smartly scans every inch of your PC and then removes any junk it finds. And, it only selects files that are 100% safe-to-delete so you never have to worry about removing the wrong ones. Due to a completely new algorithms and a completely different approach, Black Bird Cleaner cleans more trash than others. Clear cache in more than 50 browsers. 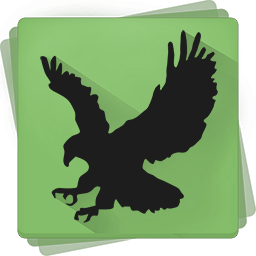 Unlike other optimizers, Black Bird Cleaner clears cache, cookies, history and temporary files in more than 50 browsers! Also, find old update files and old browser installers! What Is a Registry Cleaner? 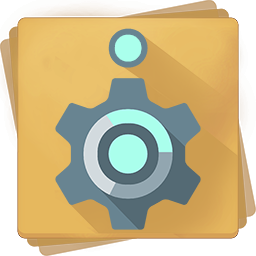 Its purpose is to keep your Windows Registry tidy, efficient and help applications to run without a hitch. Once your Registry has been cleaned up, you will likely notice a performance boost and any error messages you saw whilst using your computer previously will be gone. The Registry Cleaner will remove entries for non-existent applications, and it'll also fix invalid or corrupted entries. You find your computer starts much more quickly too! Your computer knows almost everything about you! And what do YOU know about your machine? Get the Black Bird System Info and find out the maximum information about your PC! - Full information about your PC's Battery, CD ROM, Keyboard, Printer, Mouse, USB etc. - Entire information about your Hardware and Processor. - All about computer's Video Card. - All about PC's Audio properties and Audio Driver. - Entire information about your Network, the Internet, Network adapter, Network Protocols. - All about your Motherboard, Memory and BIOS. 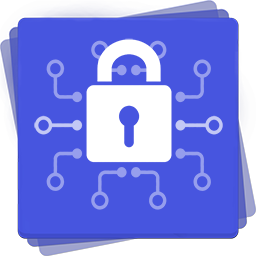 Perfecto Encryptor will encrypt your data fast and securely! Don't you feel safe? Can't you control the protection of your personal information from other users? 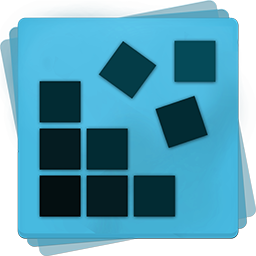 This unique program will help you to keep any of your files and folders in encrypted form. And only you will can decrypt your files. With our software your information will be completely protected from other users and you will feel yourself completely safe. This software would not exist if the camera makers did not continue to push the lie that bigger MB means better picture in the first place. The entire MB scam has been going on for years. People see that your camera takes 16MB. They have a 24MB camera, and the envy begins. So you go buy a 32MB camera, and they find a 40MB camera, and the stupidity goes on and on. You don't need anything remotely close to that size a file, unless you plan on printing a BUILDING SIZE print. The average camera user shoots in normal or maybe fine mode. They have tried shooting in RAW, and realized that they have to effectively "develop" the image themselves, hardly worth doing for little Tommy's 4th birthday party. Even then, having the setting on fine, getting a 12MB file for a picture that you will put in a folder, maybe share a few on facebook, then forget about in two weeks, is plain stupid. You want to avoid having huge files eating up harddrive space, set your camera to the lowest resolution settings that fits your actual needs. There, you just saved yourself 20MB per picture that would have otherwise been wasted so that you can brag about how many MB's you camera is capable of. The quality of a typical 8x10 print, is no better at 24mb than one at 2mb. That is a fact, your lens and the sensor itself are WAY more important to quality than the size of the file created. I probably will anger some people with the best camera's in the world at the highest megapixel files ever achieved by mankind, but too bad if I burst your bubble, someone needed to give you the bad news. This software would not exist if the camera makers did not continue to push the lie that bigger MB means better picture in the first place. The entire MB scam has been going on for years. People see that your camera takes 16MB. They have a 24MB camera, and the envy begins. So you go buy a 32MB camera, and they find a 40MB camera, and the stupidity goes on and on. You don't need anything remotely close to that size a file, unless you plan on printing a BUILDING SIZE print. The average camera user shoots in normal or maybe fine mode. They have tried shooting in RAW, and realized that they have to effectively "develop" the image themselves, hardly worth doing for little Tommy's 4th birthday party. Even then, having the setting on fine, getting a 12MB file for a picture that you will put in a folder, maybe share a few on facebook, then forget about in two weeks, is plain stupid. You want to avoid having huge files eating up harddrive space, set your camera to the lowest resolution settings that fits your actual needs. There, you just saved yourself 20MB per picture that would have otherwise been wasted so that you can brag about how many MB's you camera is capable of. The quality of a typical 8x10 print, is no better at 24mb than one at 2mb. That is a fact, your lens and the sensor itself are WAY more important to quality than the size of the file created. I probably will anger some people with the best camera's in the world at the highest megapixel files ever achieved by mankind, but too bad if I burst your bubble, someone needed to give you the bad news. Anthony: someone also needs to give you the bad news about. . . cropping. I haven't the time here to demolish all your prejudices in detail so will simply point out that the quality of a cropped large file-size image is immeasurably better than the quality of a cropped small file-size image when taken by cameras of equal lens and sensor capability. Evidently from your comments, you don't do post-processing and have never cropped to refine or improve a shot's original composition. Me, I'm not clever enough to take the perfectly-composed picture every time, hence why I crop afterwards from 24Mb images. It's not stupidity on my part, nor is it snobbishness. Just a desire of mine to get a picture looking. . . right. As to those chasing Mb output size for the sake of it, there are always going to be some who fail to comprehend that the calibre of a camera's lens and the size of its light-catching sensor are leading determinants of image output quality. However, not everyone is in that category, so treating them as if they're all a bunch of ignoramusses is uncalled-for. <b>Anthony:</b> someone also needs to give you the bad news about. . . <b>cropping. </b> I haven't the time here to demolish all your prejudices in detail so will simply point out that the quality of a cropped <b>large</b> file-size image is immeasurably better than the quality of a cropped <b>small </b>file-size image when taken by cameras of equal lens and sensor capability. Evidently from your comments, you don't do post-processing and have never cropped to refine or improve a shot's original composition. Me, I'm not clever enough to take the perfectly-composed picture every time, hence why I crop afterwards from 24Mb images. It's not stupidity on my part, nor is it snobbishness. Just a desire of mine to get a picture looking. . . right. As to those chasing Mb output size for the sake of it, there are always going to be some who fail to comprehend that the calibre of a camera's lens and the size of its light-catching sensor are leading determinants of image output quality. However, not everyone is in that category, so treating them as if they're all a bunch of ignoramusses is uncalled-for. Anthony, I believe you are mixing up megapixels (MP) with megabytes (MB). Anthony, the benefit of this software is not to save space on your hard drive, but to make uploads smaller so web pages load faster, and ebooks smaller so the distributed files are smaller, etc. Shooting at minimum resolution might be fine if all you ever want to take is snapshots, but if one of the photos you take at Tommy's 4th birthday is really special and you've shot it at 2mb but want to make a large print later, you're out of luck. And generally 2mb is not sufficient for an 8x10 unless you're looking at it from several feet away. I've made some okay 8x10 prints from my ancient 3mb files, but it took a lot of file massaging to do it. Just to clarify what this software actually does, seeing as how the last time it was on here some GOTDers thought it related to re-sizing the dimensions of an image. That's not what it's about, and Black Bird unfortunately does itself no favours by perpetuating the muddle. This 'image optimizer' exists to facilitate the down-sizing of a photo's file. Not the down-sizing of the photo itself. In other words: it MINIMIZES the Mb size by stripping out from the file data that isn't of primary relevance to the quality of the image itself. Effect of this is to enable -- for example -- someone to email friends or family a Jolly Holiday picture that emerged from the camera with a 4Mb file size in a new and smaller file size of 2Mb or less . . . whilst still retaining the original image dimensions and perceived image quality. I sympathise with Black Bird in not being more clear about its product, a position in which it finds itself -- I'm guessing -- because it doesn't want to seem as though it's ripping off German commercial developer Balesio which has, for many a year, provided free of charge to home users its "FILEminimizer Pictures" app, where capitalization of the word 'file' and use of the descriptor 'minimizer' is unambiguous. I use Balesio's freeware on an almost daily basis, but have also used an earlier version of this Black Bird minimizer, too. In my experience, it did what it claimed to do and no, it isn't a rip-off of any other product: the developer has its own algorithmic approach. Today's GOTD is, therefore, recommended for anyone who hasn't used file size reduction software before. Just bear in mind though that the greater the minimization, the greater the amount of data that is stripped from the file, to the point that, inevitably, image quality gets degraded. A light touch is recommended. As for re-sizing the dimensions of a photo -- most often referred to as 're-sampling' -- just about any image software out there can do that, though without regard to or control of final output quality. And no software will ever make a quality enlargement of a smaller picture whose original file size was so meager that it contained insufficient data in the first place. Just to clarify what this software actually does, seeing as how the last time it was on here some GOTDers thought it related to re-sizing the dimensions of an image. That's not what it's about, and Black Bird unfortunately does itself no favours by perpetuating the muddle. This 'image optimizer' exists to facilitate <b>the down-sizing of a photo's <i>file.</i> Not the down-sizing of the photo itself. </b> In other words: it MINIMIZES the Mb size by stripping out from the file data that isn't of primary relevance to the quality of the image itself. Effect of this is to enable -- for example -- someone to email friends or family a Jolly Holiday picture that emerged from the camera with a 4Mb file size in a new and smaller file size of 2Mb or less . . . <i>whilst still retaining the original image dimensions and perceived image quality.</i> The recipient's inbox isn't, therefore, cluttered up with an incoming picture, or series of pictures, of so great a size that downloading takes forever. (Email providers impose an overall limit on a message's attachments anyway.) I sympathise with Black Bird in not being more clear about its product, a position in which it finds itself -- I'm guessing -- because it doesn't want to seem as though it's ripping off German commercial developer Balesio which has, for many a year, provided free of charge to home users its "FILEminimizer Pictures" app, where capitalization of the word 'file' and use of the descriptor 'minimizer' is unambiguous. I use Balesio's freeware on an almost daily basis, but have also used an earlier version of this Black Bird minimizer, too. In my experience, it did what it claimed to do and no, it isn't a rip-off of any other product: the developer has its own algorithmic approach. Today's GOTD is, therefore, recommended for anyone who hasn't used <b>file size reduction software</b> before. Just bear in mind though that the greater the minimization, the greater the amount of data that is stripped from the file, to the point that, inevitably, image quality gets degraded. A light touch is recommended. As for re-sizing <b>the dimensions</b> of a photo -- most often referred to as 're-sampling' -- just about any image software out there can do that, though without regard to or control of final output quality. And no software will ever make a quality enlargement of a smaller picture whose original file size was so meager that it contained insufficient data in the first place.